I can't believe how long it's been since I've blogged! Those of you who follow my podcast (which has also suffered neglect) know that I've recently returned from a three-week stint in Portugal. I've decided to post a picture a day from my trip every day for at least a month. 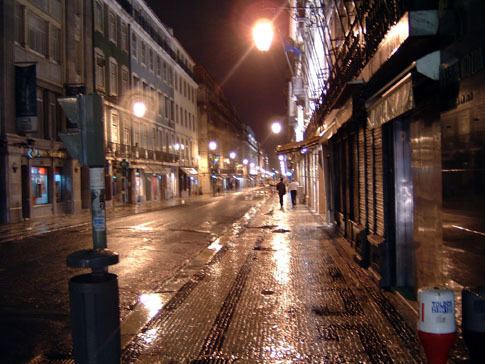 Above is a photo of Lisbon at night.